FREE SHIPPING – Spring Sale Save $200 Big Bucks! And Get Free Stuf Too! The Best Deal On The Market! 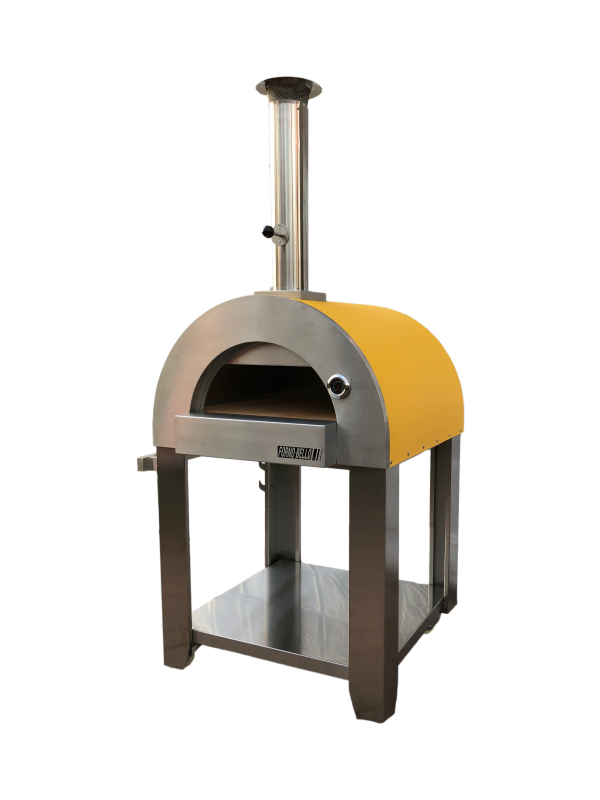 A combination of traditional Italian designs and modernism has lead to an amazing revolution called the Forno Bello. The Forno Bello is a portable wood fired pizza oven that comes in two beautiful colors, cherry red and Tuscan yellow. 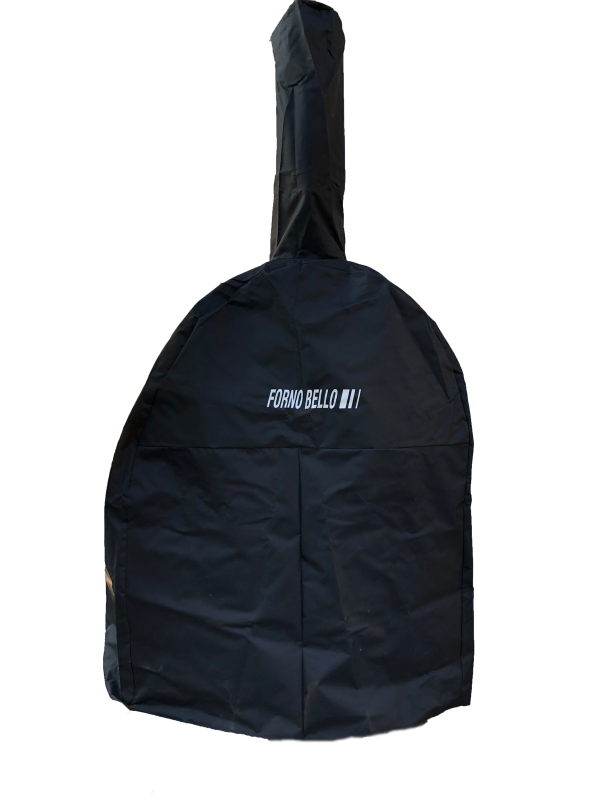 It’s base has two wheels and a stainless steel handle for easy mobility. 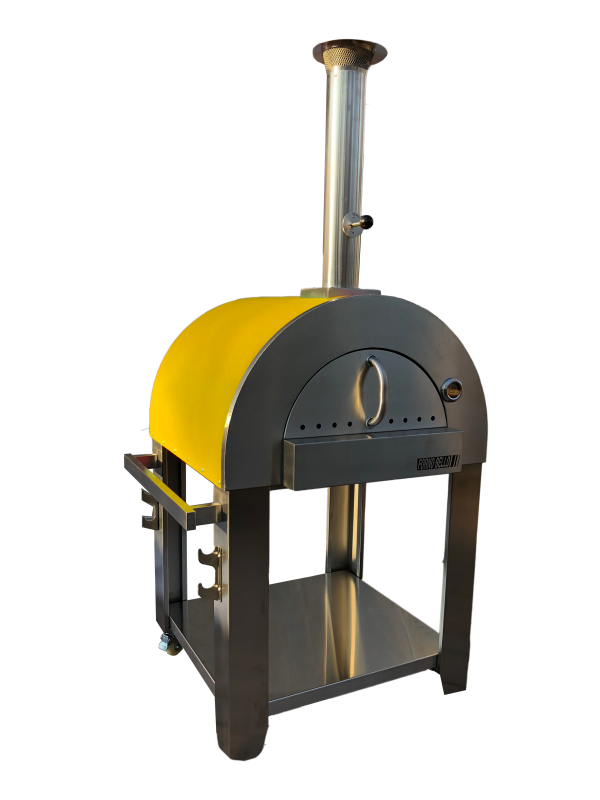 Our ovens have incredibly fast heat up time, which is ideal for making a tasty pizza, steak, chicken, fish, bread, or anything else you can think of! Simple and easy is what we do. The oven is built inside and out with stainless steel. 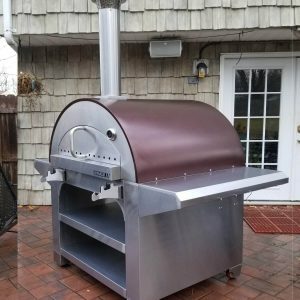 It has a 26” x 29.5″ cooking surface, with a double insulated dome for safe operation. This allows the oven to heat up within 15 minutes to cooking temperature. 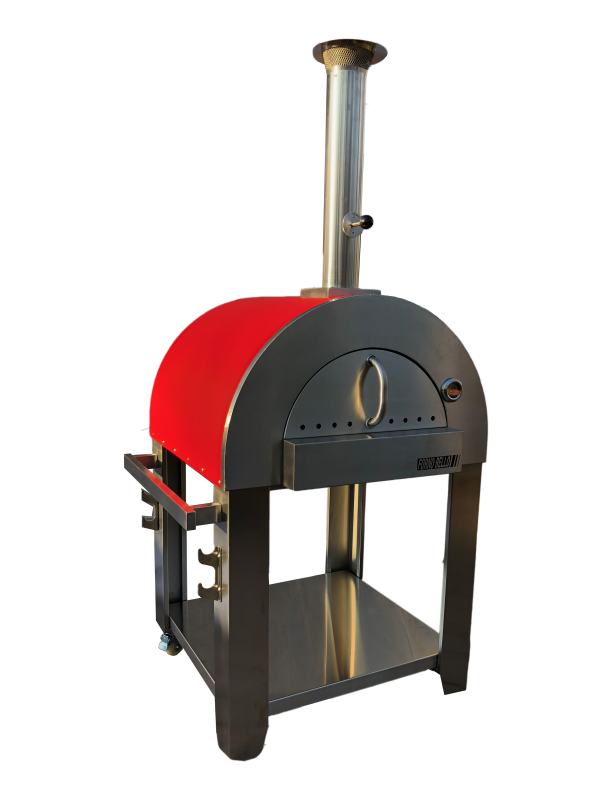 It works just like a traditional oven, the fire is placed inside the oven and kept to the side. 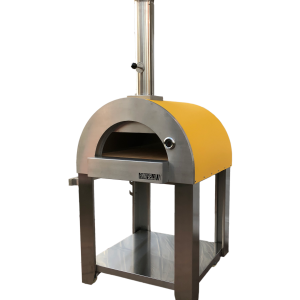 Pizza and bread can be cooked directly on the food grade refractory cooking stone where it cooks wonderfully. The oven also has a double walled door and chimney pipe with built-in damper. 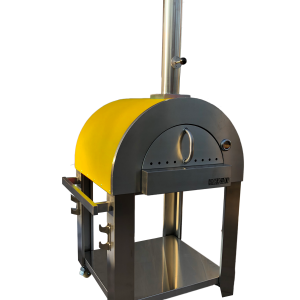 All clients get complimentary pizza peels (wood and steel) an outdoor oven cover and a stainless steel oven Brush! That’s the best deal on the Market Today! You also get access to our comprehensive video library which is run by the World Champion Pizza Makers so you can truly learn how to master the art of pizza! 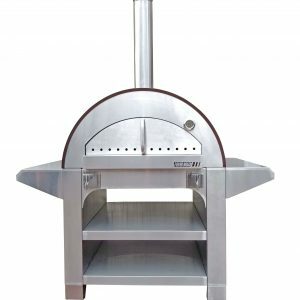 We designed the ovens ourselves and sell direct, and that is why we offer the best prices in the industry for our incredible ovens. Love life and get cooking. Our Shipping Company will call you at the phone numbers you provided to schedule the delivery of your package. At the time of delivery inspect your package for visible damage, if there is visible damage refuse the package and note on shipping documents and please contact us. If you fail to be present at the time of your scheduled delivery, you will be charged for shipping things happen just call the shipper to reschedule if need be! If there is no visible damage, sign for your package and inspect it for concealed damage if there is concealed damage contact us immediately so we can solve it! We recommend having an extra person or dolly to help move your package and assemble the stand. The oven will come in a large wooden crate. Shipper will drop off in your driveway. Rock The Pizza World !! I have cooked in all bricked ovens before and actually like this one better. Heats up faster, and rolls where ever I would like to use it. Inside of oven was 725 degrees and you can place your hand on the outside of the oven. I store mine in the garage when not being used. 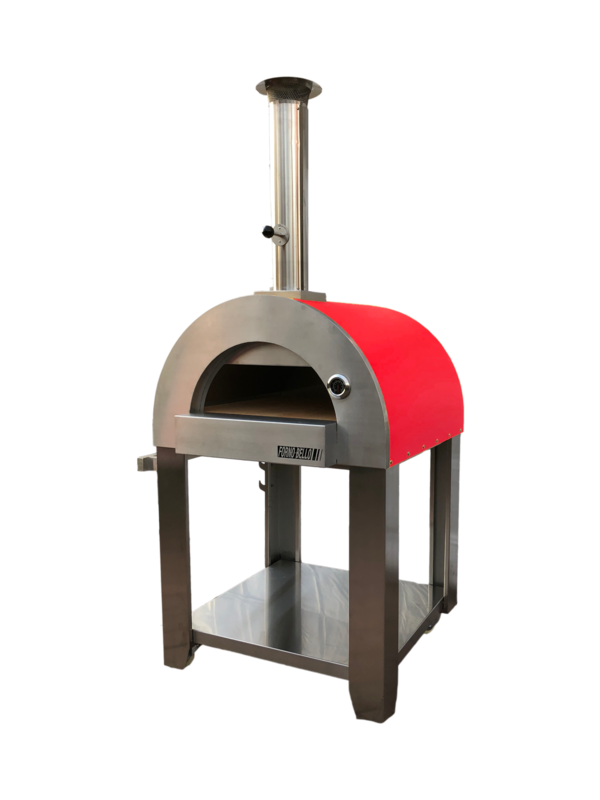 It’s all you can expect from a quality made pizza oven! Forno Bello Family Oven. For The True Pizza Lover. Make Great Pizza and $ave Big Dough Now! FREE SHIPPING – Winter Sale $200 off now limited time!! !